Marlene Rose Bryan passed away peacefully at the Lutheran Medical Center in Wheat Ridge, Colorado on Saturday, October 20, 2018 surrounded by her beloved family. Marlene was born on April 22, 1954 in Lynwood, California to Charles Marvin Ernst and Suzanne Maxine Sack. Marlene spent her formative years in Pico Rivera, California. As a young girl she enjoyed roller skating, riding bikes, playing board games and kick-the-can. Marlene attended St. Marianne’s School until eighth grade and transferred to El Rancho High School where she participated in volleyball, coed capers, and other sports. 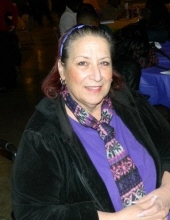 After high school, Marlene attended college and received her BA in Education from Cal State, Long Beach. Marlene moved to Colorado in 1978 and met Jerry Bryan who she was married to for 17 years. Marlene began her working career at Mountain Bell which is now Century Link for 27 years as a Lead QA Engineer. Marlene and Jerry adopted Trista and Kamrin at a very young age,. Marlene invested most of her time and boundless energy in loving and caring for her children. She also opened up her home to more than twenty foster care children over the course of six years. Marlene was always willing to give a helping hand when needed; opening her home to anyone in need. Marlene’s interests varied widely during her life, including vacation cruises, Broncos and Rockies games, dancing, avid reader, crafts, and Christmas decorations (especially snowmen). In her later years she battled with kidney failure requiring frequent dialysis treatment that were often very taxing on her. Although she faced tremendous obstacles in living with a chronic disease, she never let it dampen her joyful spirit and all around positive outlook on life. As a beloved mother, grandmother, daughter, sister, cousin and friend, Marlene will be missed by daughter Trista and son-in-law Guy Pierce, grandchildren Ben, Ethan, and Allison. Daughter Kamrin and son-in-law Bill Goode, siblings: sister Trudy and husband Robin, brother Rudy and wife Lyn, sister Cece and partner Willy Ralston, sister Angie and husband Charles, brother Charles and wife Connie, sister Tina and preceded in death by the youngest brother Andrew. Marlene will be missed by dear cousins and friends which are too numerous to mention. To send flowers or a remembrance gift to the family of Marlene Rose Bryan, please visit our Tribute Store. "Email Address" would like to share the life celebration of Marlene Rose Bryan. Click on the "link" to go to share a favorite memory or leave a condolence message for the family.